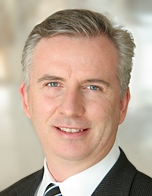 DisclosureNet has appointed former IBM executive Paul Hill as president. Hill brings over 20 years’ experience in disclosure management and business analytics to the company. I’m thrilled to join the DisclosureNet team and contribute toward evolving the product into not just a great solution, but the only solution organizations turn to for their disclosure management process. After recently announcing a strategic partnership with IBM®, DisclosureNet™ is thrilled to reveal the appointment of Paul Hill as its new president. Hill, former Vice President of Business Analytics at IBM®, brings valuable experience in enterprise software and the disclosure management space, making him the perfect fit for this role at DisclosureNet. He is also the newest DisclosureNet board member. "The disclosure research capabilities in DisclosureNet were what initially attracted me to the company," explains Hill, "because it nicely complements the disclosure management solutions I helped bring to market at Clarity Systems and IBM®." For Hill, the next logical step to evolve the space was to provide customers with a single integrated solution for disclosure research and disclosure management. DisclosureNet also recognized this opportunity, making Hill the top candidate for the role. With over 20 years’ experience in the disclosure management and business analytics space, Hill commands a deep understanding of the market, which will help DisclosureNet continue its trajectory of strong growth and success. Create the next generation of disclosure management solutions for internal and external reporting. Continue to lead with innovative technologies in disclosure research and disclosure analytics. Set a new standard for high-quality, timely and extensive client service. Establish a platform that will provide existing and future customers with best practices and answers to their unique reporting challenges. As president, Hill is responsible for the sales and marketing strategy and execution at DisclosureNet, and will also manage partner relationships and oversee the company’s account management and professional services teams. His principal aims are to drive the go-to market strategy and redefine the disclosure management space by delivering the most comprehensive solution. "I’m thrilled to join the DisclosureNet team and contribute toward evolving the product into not just a great solution, but the only solution organizations turn to for their disclosure management process," states Hill. As a natural extension of his disruptive strategy, Hill’s long term vision is to expand DisclosureNet globally. DisclosureNet founder and CEO Stephane Jasmin acted as president for over 11 years prior to this appointment and is enthusiastic about working closely with Hill to evolve the product. "We’re incredibly excited to have Paul on board," says Jasmin, "and we’re really looking forward to the ways his knowledge and expertise will continue to enrich and evolve DisclosureNet to serve our clients better."